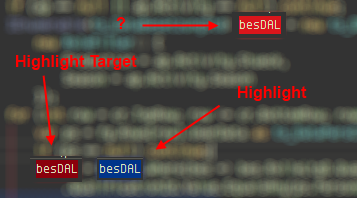 I want to change the background color of the variable where I used highlight usages. What I found are 2 settings, one where it is used as statement and one where it is used as target. I'm currently using Resharper 6 Beta 2. Is it possible that the setting I am looking for does not exist yet and this is a bug? "Highlight" is currently unknown for me.